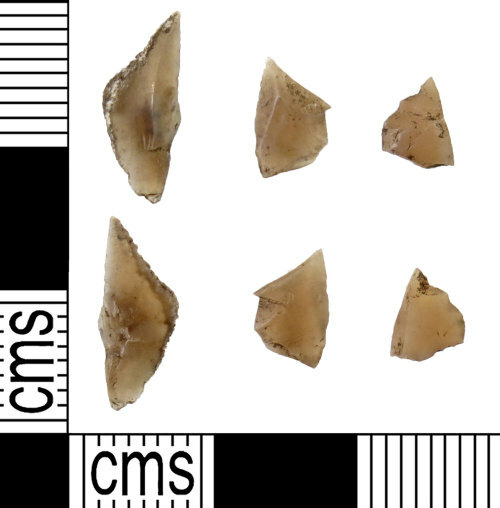 A group of 3 flint Microlithis of Mesolithic date (9000-3450 BC). The lithics are sub-triangular in plan and plano-convex in section. Lithic no. 1 retains a small amount of cortex on the right hand edge and is therefore a secondary flake. The others retain no cortex and are therefore tertiary flakes. The flakes are a grey brown in colour. The cortex is a light grey/cream.